The main research facility houses a 3T and a 7T MRI scanner for research purposes. 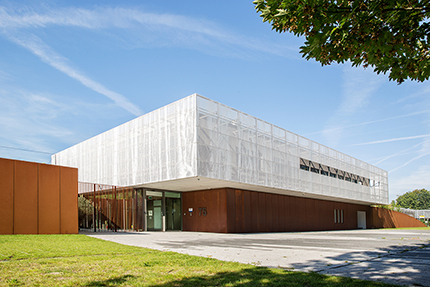 The Spinoza Centre for Neuroimaging, its high-field imaging scanners and its MR physicists are dedicated to neuroscience imaging research and its development. The facility can accommodate more than 25 researchers with their programs simultaneously and forms a hub for advanced neuroimaging. 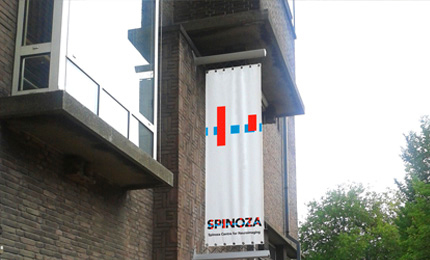 When visiting the Spinoza Centre by car please use exit S111 (A2 or A9 freeway) and follow directions towards AMC. Parking is recommended at P2. When coming by public transport, stop at station Holendrecht and follow NIN signs. The Behavioural Science lab of the faculty of social and behavioral sciences of the University of Amsterdam also has an imaging center. The centre has a 3 Tesla MRI scanner (Philips Achieva DS, 32 channel head coil) and offers state-of-the-art scan sequences for anatomical, diffusion, and functional MRI research. MRI research can be combined with additional physiological measurements including skin conductance, eyetracking, and simultaneous EEG, as well as (off-line) neuromodulation techniques such as TMS and tACS. In addition, the centre offers an optional service to convert the acquired MRI data to a standardized format and run it through a cutting-edge preprocessing and quality control pipeline. Due to very limited parking space it is recommended to go there by public transport (subway, bus or tram) and exit at Weesperplein is within walking distance of Roeterseiland.